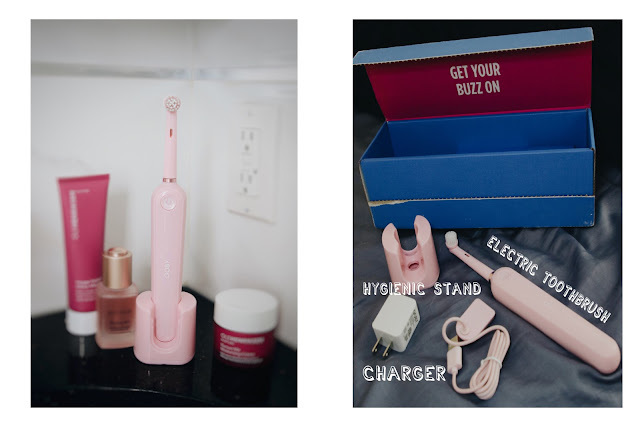 This cute electric toothbrush comes with different colors but I'm a pink lover so I got myself the pink one. Since I was a kid, I always had the electric toothbrush that isn't rechargeable so I'm new to this technology. Using this makes my teeth cleaner and it feels 100% clean! Give it a try and let me know your experience! Check out Goby's website for more information.